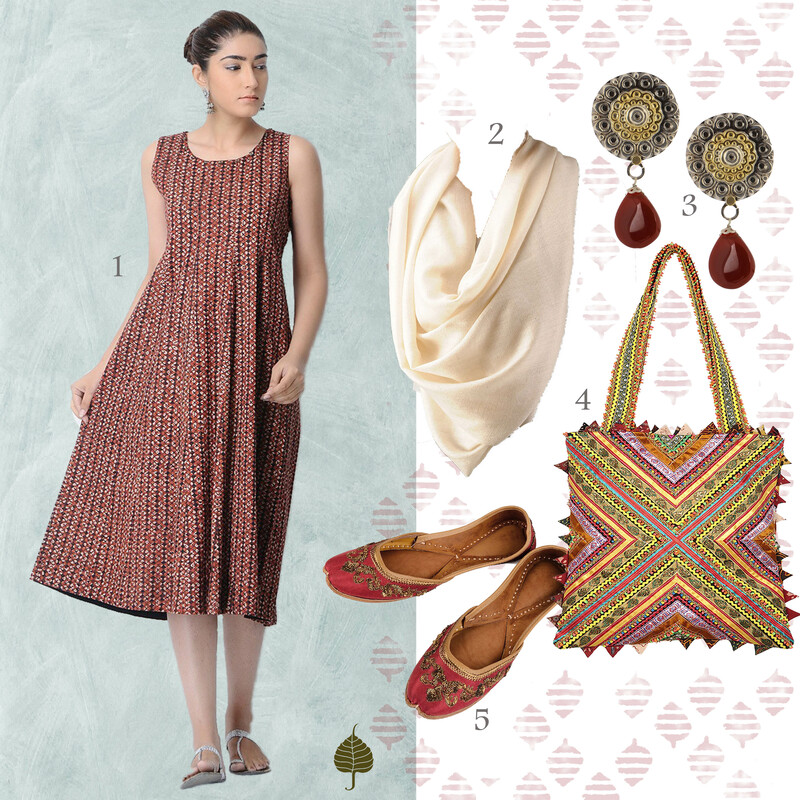 Jaypore’s Natural-Dyed Bagru Printed range of apparel is perfect to live-in! for elegant conversations under the star-lit sky! 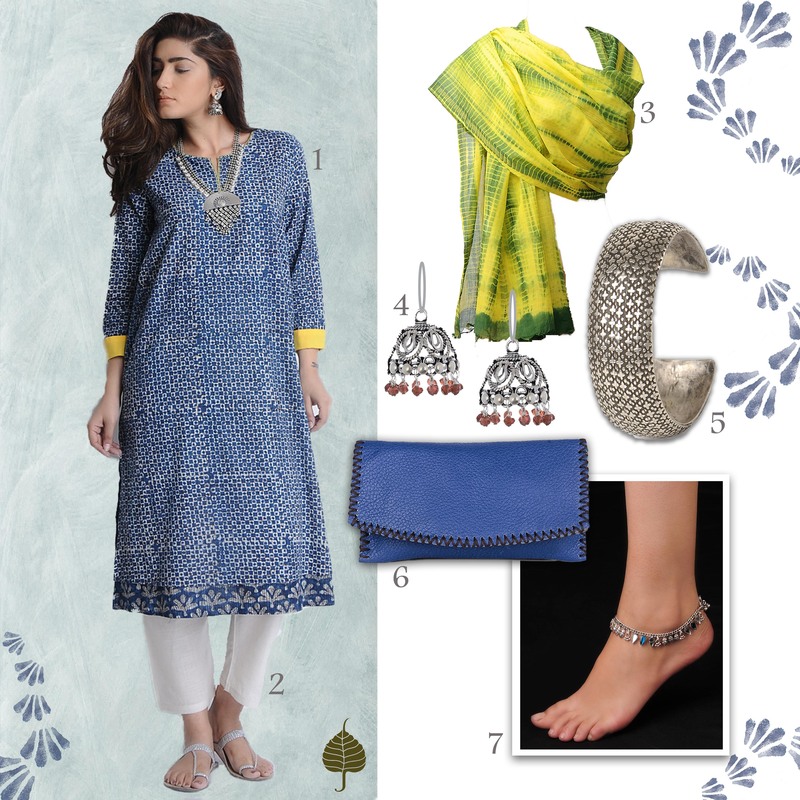 This indigo yellow bagru printed cotton kurta pairs beautifully with this green yellow clamp dyed dupatta, silver earrings, cuff and anklets and a blue leather clutch. Wear this versatile bagru jacket buttoned up, or front open and layered over a kurta. Pair it with a bold silver necklace, ring and earrings, leather sling bag & colorful hair sticks. 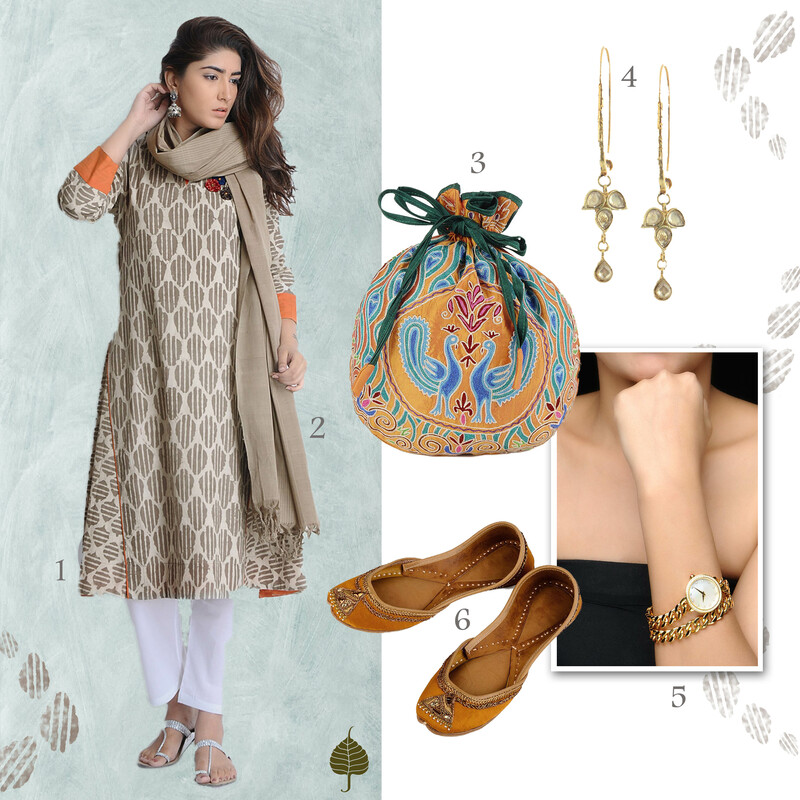 This ecru toned bagru printed kurta can be styled with a swarovski studded watch, zardosi juttis, silver earrings and a grey handwoven dupatta. The orange cuff details and a orange silken embroidered potli brighten up the look. This red black natural dyed dress makes us want to do the side walk dance on the street! 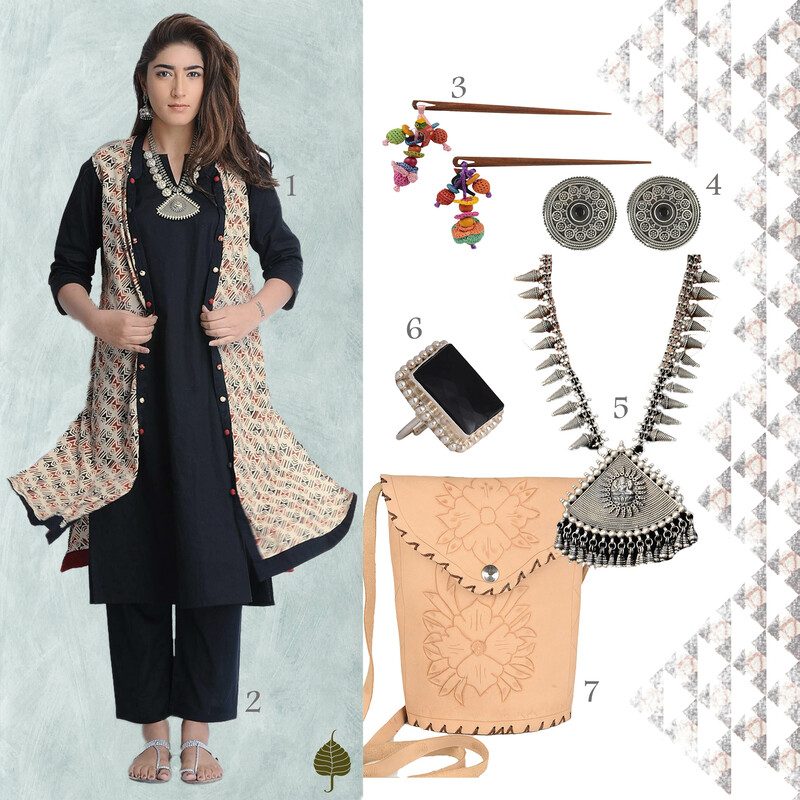 Dress it up with an ivory pashmina stole, silver earrings, mashru juttis and a cotton tote bag. Tell us which one’s your favorite look! Posted in apparel, bagru, block printing, clothing, Crafts, indian, summer, traditional and tagged apparel, bagru, block, Cotton, day wear, Ethnic, Indian, Jaypore, printed, silver earrings, Summer. Bookmark the permalink.